Twenty years and twenty kilometers. 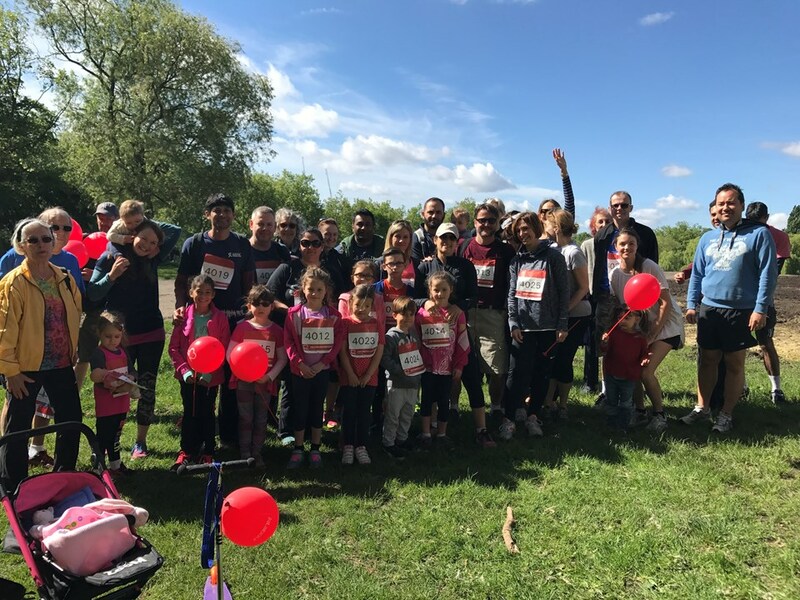 For the 20th year in a row, our very own Chrissie Mullings Lewis organised a JHT team to participate at the Hampstead 4 Hearts walk. Chrissie personally completed a 20k run on the day in recognition of the 20th anniversary of her team’s participation. Amazing work Chrissie! Congratulations. Donations and sponsorships are still rolling in for her fundraising page, so there is still time to support! With Chrissie’s drive and passion, it’s no wonder that she was named PT of the year at last week’s Staff Oscars. After that first year I started to encourage even more people to participate and now generally field a team of between 50-60 people raising on average over £5,000 pounds. On a personal note until 2001 I always ran the course. But in December 2001 I was involved in an accident, which resulted in back surgery, I was bed bound for most of 2002. By 2003 I was mobile again but had very limited walking ability, my goal was not only to be able to walk to the Heath from the Armoury but also to try to walk once round the course. It took until approx 2007 before I could run a bit of the course again. I have used each year as a marker as to how much progress I have made. This year as its our 20th Anniversary I will aim for 20k and will do it in memory of my father Roy Mullings who passed away earlier this year age 90.